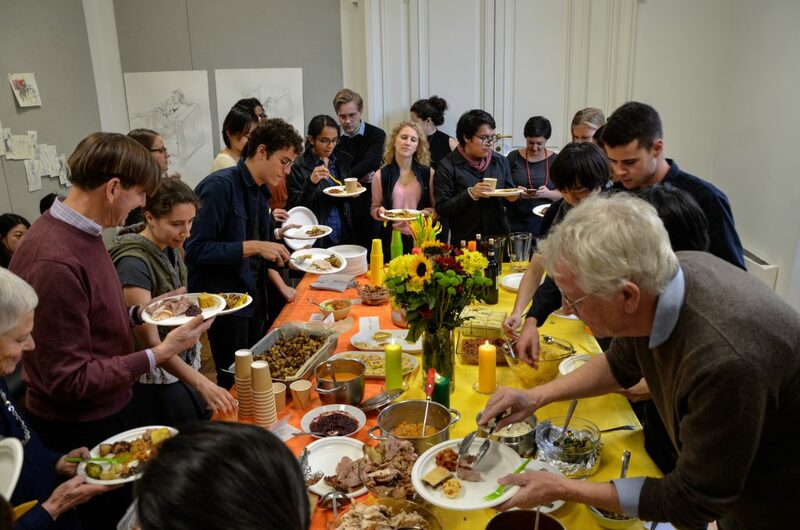 Given the fact that many of us didn’t have the chance of going home for thanksgiving since we had only one day off, the day of thanksgiving itself, many of us have signed up for the thanksgiving potluck in order to at least somehow celebrate it. 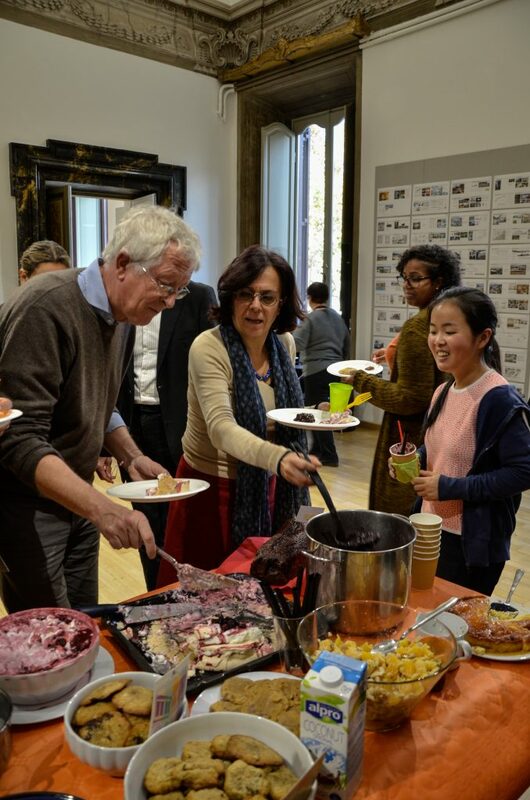 Having also ordered two turkeys from Renato e Luisa, many of us brought our own dishes, some of us taking advantage of the opportunity to show off our culinary skills or perhaps introduce to others a recipe that is traditional to where we come from. Personally I have planned to do a Czech dish, but after seeing the number of people that were going to be preparing dishes and food, it seemed almost unnecessary. Overflowing with food, the four tables were quite literally attacked, yet even after many tries it seems like no food was vanishing. And there were only too many deserts to try after the main course, leaving us no other choice but consume the rest over the next few days, while tirelessly working towards a variety of deadlines.